The nation’s governors are critical partners in the continuing effort to advance job opportunities for millions of people with disabilities. Governors can drive policy, prioritizes programs and bring attention to what people with disabilities can accomplish if given a fair chance. 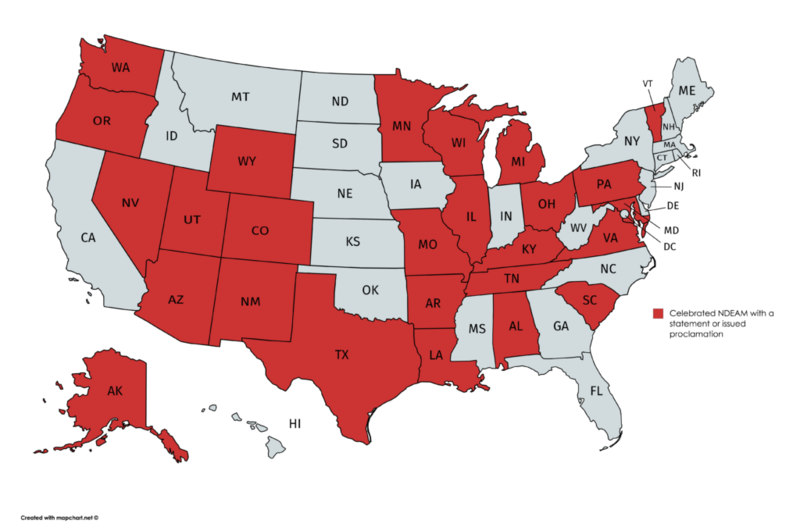 Over the past four years, RespectAbility, a nonprofit fighting stigmas and advancing opportunities for people with disabilities, has had the pleasure of meeting with 44 governors to talk about disability employment and advocate for best practices. We have forged partnerships with Republicans and Democrats alike, who are committed to the idea that people with disabilities deserve the opportunity to earn an income and achieve independence, just like anyone else. New data shows that thousands more people with disabilities are getting jobs every month. As reported by Kessler Foundation and the University of New Hampshire’s Institute on Disability (UNH-IOD), the past year and a half has seen continuing job growth for Americans with disabilities. Since 2016, the labor-force participation rate (LFPR) for people with disabilities has grown to 33.1 percent. Last year, the LFPR for Americans with disabilities was only 31.0 percent. What this means is that more and more people with disabilities are working or actively looking for work. Over the past several weeks, RespectAbility Fellows have contacted governors’ offices across the country. We have been asking them what they are doing to advance opportunities for people with disabilities to earn an income and become independent. 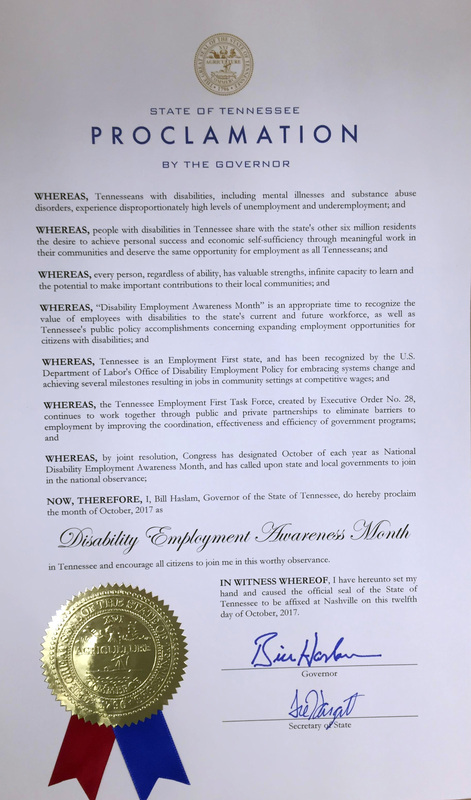 We have been pleased to receive copies of public proclamations, executive orders and press statements celebrating NDEAM and people with disabilities from governors across the country. We have gathered together the responses we have received and are sharing them with you. The range of responses and statement reflects the range of policies and programs that Governors are putting into action to empower people with disabilities. For example, Gov. Terry McAuliffe of Virginia talked about “Career Pathways for Individuals with Disabilities (CPID)” to “close the skills gaps and create a pipeline of young adults, including those with disabilities” to go into advance careers in science and technology. Yet as important as these statements are, so much more needs to be done in order to empower more people with disabilities into the workforce. Americans with disabilities often find that their economic outcomes vary based on where they live. For example, 57.1 percent of working-age people with disabilities in Wyoming have jobs, while only 24.4 percent of people with disabilities in West Virginia are employed. Those disparities speak to the big difference that committed leaders can have at the state level. 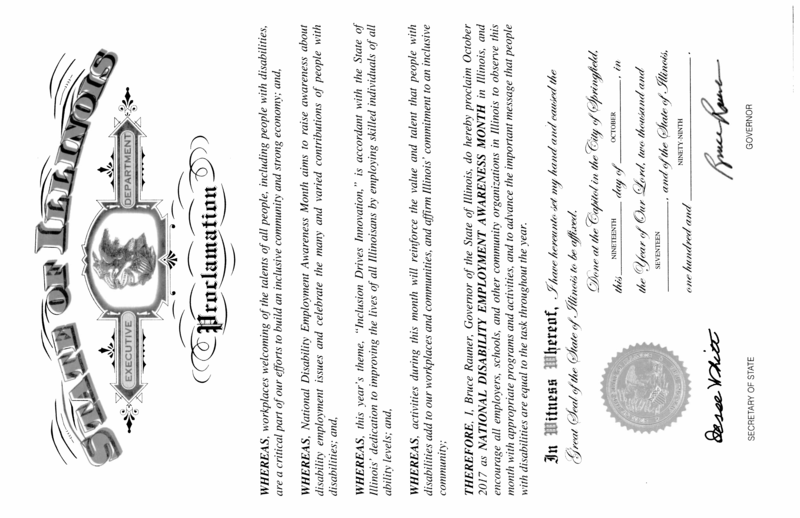 Updated Oct. 27 to include Illinois and Ohio, making a total of 26 governors recognizing NDEAM.